Mike McGrevey serves as deputy director of Mississippi Development Authority. 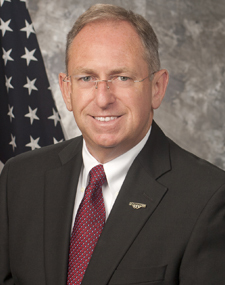 In this position, McGrevey oversees the agency’s business recruitment, retention and expansion efforts. He also leads the agency’s work in supporting budding entrepreneurs and small businesses and promoting Mississippi products in export markets around the world. McGrevey has served in several positions throughout Mississippi, including vice president for finance and administration, chief financial officer and chief of staff for Mississippi State University, president of The Montgomery Institute, president and chief operations officer for an education company, chief administrative officer for the city of Meridian and executive director of Kemper County Economic Development Authority. McGrevey also served in the U.S. Air Force for 20 years. McGrevey was appointed by Governor Phil Bryant to serve on the Mississippi Veterans Affairs Board. McGrevey holds a bachelor’s degree in Banking and Finance from the University of Southern Mississippi, a Master’s in Management and a Ph.D. in Education from Mississippi State University. He and his wife Ada have a son, daughter and two grandchildren.